Authenticity is more important than trend and we believe where the grapes are grown matters. We also believe in the expression of terroir in wine. 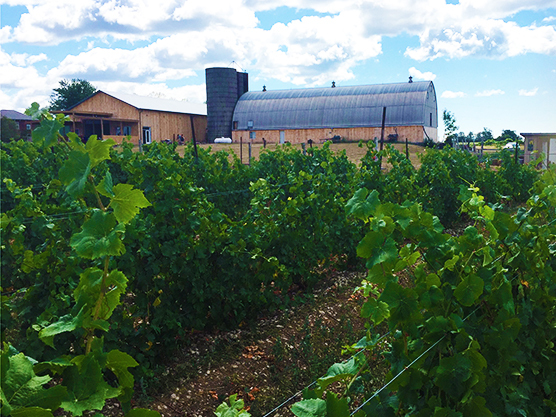 In Prince Edward County we observed our vineyards for three years and came to the conclusion in 2007 that we should make sparkling wine. Are you planning to visit the winery? Our tastings are $2.00 per sample of wine and we usually have 3 wines for $6.00 or 4 wines for $8.00 in our tasting room. We’re a small family-run farm and we want your experience here to be a memorable one! To maintain our level of service, we require groups of 6 or more to make a reservation. Reserve your spot by contacting us directly.